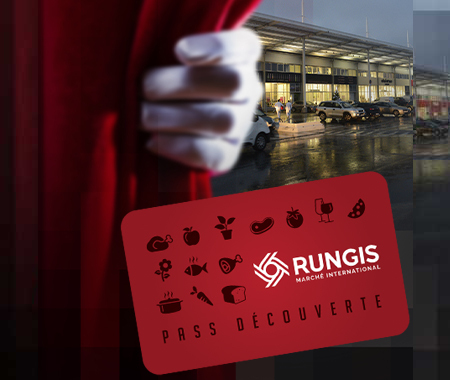 Are you a professional interested in Rungis Market but you haven’t yet had the chance to visit? Do you need to meet the suppliers and experience the Rungis quality to reassure yourself with regard to your choice? 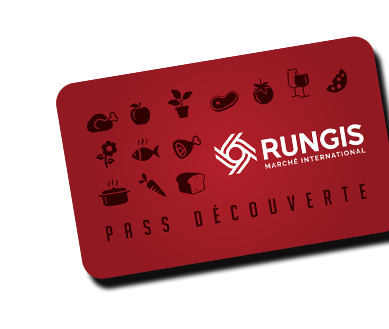 If the answer to either of these questions is ‘yes’, then the Rungis Discovery Pass is for you! You can enjoy free access to Rungis Market on the day of your choice; stroll around, explore what’s on offer and buy what you need from the market’s 1,200 businesses spread across 6 different sectors. How does it work? Complete the registration form and choose the day on which you wish to visit the market. You will then receive your Discovery Pass by e-mail!